You are here: Home / Employee Engagement / Become an Employee Engagement Handy-man! Become an Employee Engagement Handy-man! Are you HANDY with Employee Engagement? Charles Handy has done a wonderful job the past two decades writing about management. I appreciated “The E Factor” chapter in his book, 21 Ideas for Managers: practical Wisdom for Managing Your Company and Yourself. They are all the things that trigger energy, excitement, enthusiasm, effort, effervescence, even expenditure. I imagine he would add the word engagement if he was to write this chapter today. The messages, for me, are clear. Everyone is full of “E,” in all its forms. 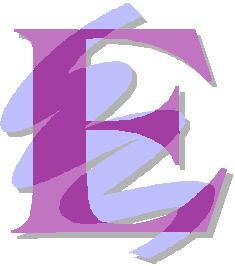 The trick is to release that “E” — the excitement as well as the effort, the enthusiasm as well as the energy. Everyone has a shopping list of what they want from work and life, even if they have not written it down. the more organizations can match these shopping lists, the more they can expect from people. Bread-and-butter offerings will inspire bread-and-butter work. Listen to what people really want and give it to them. No one will be disappointed; organizations that bubble with every type of “E” are fun to be in. What would you like more of in the organization? What would you like to see less of in the organization? Handy is right! A lot of good stuff starts with “E” . . . including exercise, encourage, and educate. I so much enjoy reading Charles Handy even going back to things he wrote a long time ago and seeing them with fresh eyes.